Tsuru Robotics installed its autopilots on several large drones, developed by Taiwan Industrial Technology Research Institute (ITRI). Tsuru delivered autopilots to Taiwan then mounted and configured them. 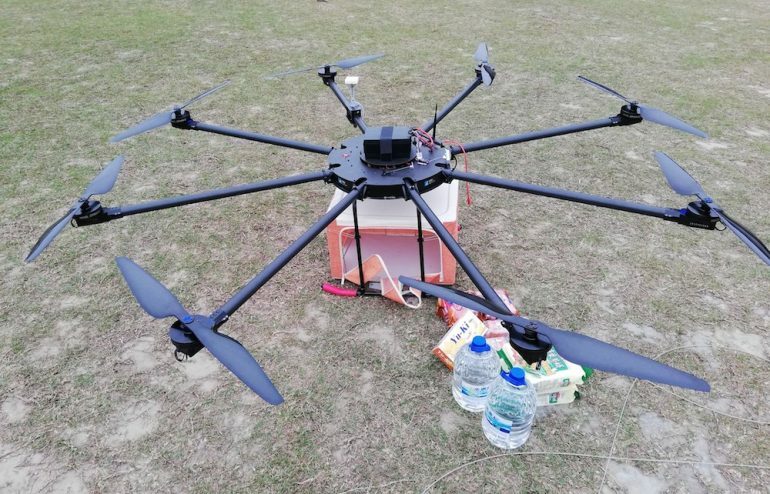 The integration was done for drones with six, eight and 18 propellers, ranging in size from 2 to 3.5 meters. Drones with Tsuru Robotics autopilots showed excellent flight quality. The drones will be used for fast delivery and lifting of telecommunications equipment for commercial purposes.